Steve Jobs named his company "Apple" partially because he wanted it to appear in the phone book before Atari, his former workplace. 2. According to a mathematical calculation that is known as potato paradox, if 100 kg of potatoes consist of 99% water, but dehydrate so that they are only 98% water, they will now weigh only 50kg. 4. America's First Bank Robbery was nearly the perfect crime. An enormous sum of $162,821 had been taken from vaults of the Bank of Pennsylvania in 1798. The culprit Isaac Davis was caught because he deposited the money back into the same bank. 5. A Kent State communications major took an audio recording of the war protest from his dorm room in 1970. He created the only real-time account of the shooting, and his original tape was destroyed by the Department of Justice in 1979. 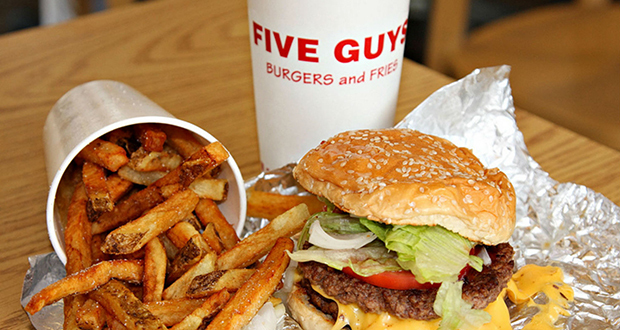 In 2014, Five Guys generated billion dollars in revenue with an advertising budget of $0. By contrast, McDonald's spent almost a billion dollars on advertising to generate $25 billion in revenue. 7. The famous Jeopardy "Think!" theme was composed by the show's creator Merv Griffin in less than a minute as a lullaby for his son. By 2005, he had made over $70 million in royalties from that song, the equivalent of a Jeopardy contestant winning every game for about a decade. 8. In the 1950s more than 77% of all German government officials and judges were (former) Nazis, which is an even higher percentage than during the actual Third Reich itself. 9. Tom Cruise himself actually created the character (and the dance) for Les Grossman, suggesting "What about some greedy pig studio executive who really represents the gross part of Hollywood?” because of how much he enjoyed the script of Tropic Thunder and wanted to be in the movie. 10. In 2012, when a documentary was being filmed in a Swissair flight, an engine failed. The film crew was able to capture the calm and cool of the pilots while they turned the engine off, informed passengers, dumped fuel, ate chocolate and took a coffee break. 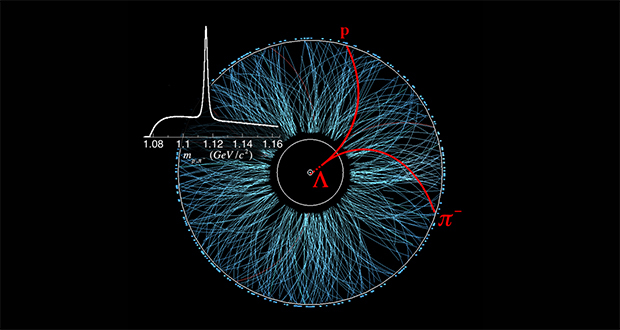 In 2012, scientists at the Hadron Collider formed a quark-gluon plasma and subsequently recorded the hottest temperature created by humans, which was about 5.5 trillion degrees Celsius. 12. When people faint at the sight of blood, it's because their body is actually trying to calm them down because they are overly-excited. It overshoots and the person passes out. It's called vasovagal syncope. 13. NASA took Nefertiti the jumping Porscha spider to the ISS to see if she could learn to hunt in zero gravity. She did, and when she returned to earth 110 days later, she successfully retrained her jumps again for 1G. 14. Venice, Italy is held up by millions of ancient tree poles driven into the mud. They never rot due to the lack of oxygen. 15. In 1884, a 40-year-old mother of 8 named Jane Whyte was walking on the beach in Aberdeenshire when she saw the SS William Hope drifting towards rocks. She waded into the sea, caught a rope flung by the crew, wrapped it around her waist, dragged it back to shore, and created a lifeline saving 15 sailors. In 2003, a 17-year-old transplant patient died after receiving organs with the wrong blood type. The error occurred because everyone assumed that someone else checked the blood type. 17. The rap/male vocals in Evanescence's "Bring Me To Life" was added because radio stations thought the song was "too feminine." You can listen to Amy Lee's version of the song on the band's 2017 album "Synthesis." 18. The vocals for Hozier’s “Take Me to Church” weren't recorded in the studio. He recorded a demo in his parents' attic and the record label found the vocals to be so powerful, they left them alone. 19. Death sentence with reprieve is a punishment in which the criminal is given a two-year suspended sentence before execution. By abstaining from additional crimes during the two years, the criminal can reduce the sentence to life imprisonment, or, by committing good deeds, a fixed-term sentence. 20. Up to 25% of cowboys in the West during the later 19th century were black. Former slaves or born into a formerly enslaved family, they worked in an industry that despite facing inevitable racism was a generally less discriminatory than other industries at the time. The paper toilet seat covers, found in public restrooms, pretty much do nothing and do not actually have any health benefits. 22. In languages where spelling is highly phonetic (e.g. Italian) often lack an equivalent verb for "to spell". To clarify, one will often ask "how is it written?" and the response will be a careful pronunciation of the word since this is sufficient to spell it. 23. Japan's criminal justice system has a conviction rate of over 99%. For Japanese citizens and police, the arrest itself already creates the presumption of guilt which needs only to be verified via a confession. 24. Cows can have best friends and are significantly less stressed out when they get to hang out with them. 25. The Indiana State Prison system usually gives condemned inmates their last meal about two days early because "they typically aren't as hungry on the day they are to die."